Spores are used by groups of ancient plants and fungi in one stage of their reproduction. 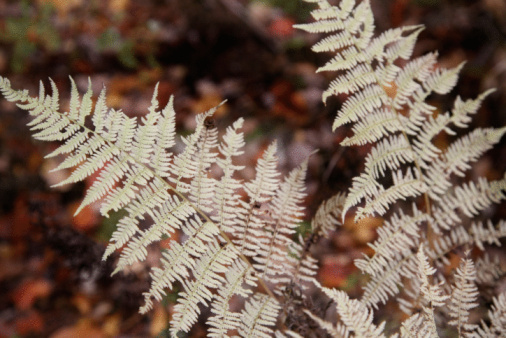 Pteridophyta (ferns) and lycophytes (mosses) both produce spores. Spores grow into intermediate plants called gametophytes. Neither of these groups of plants produces flowers. Pollen is used by flowering plants to fertilize seeds. Fertilized seeds grow into adult plants, not intermediate gametophytes. Pollen is produced by flowering plants. Spores are produced on the undersides of leaves. 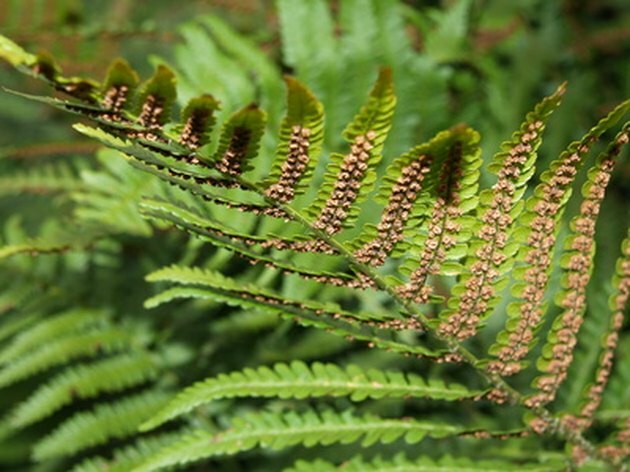 Ferns are in the family Pteridophyta and all reproduce by first forming spores. Other plants that produce spores include the Lycophyta and Bryophyta or mosses. Other organisms that produce spores include fungi, such as mushrooms and molds. 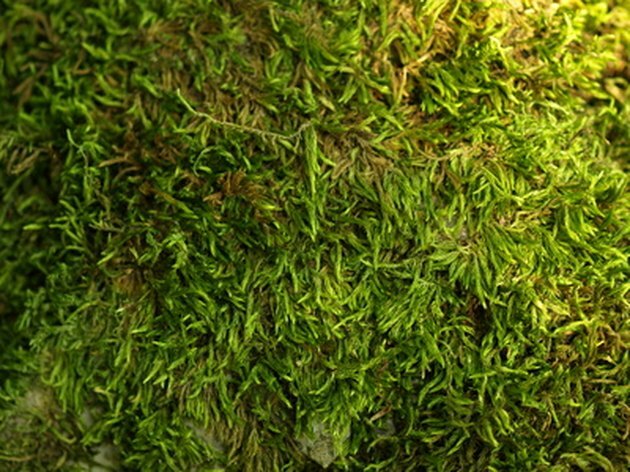 There are more than 10,000 species of mosses. Plants that reproduce using spores have alternating generations that are diploid (two copies of each chromosome) and haploid (single copies of each chromosome). Spores grow into reproductive organisms called gametophytes. The haploid gametophyte has two reproductive parts that produce sperm and eggs. When the sperm and eggs combine to form a zygote, the organism is diploid again and can develop into an adult plant. Pollen is produced by the anther of flowering plants. Each pollen grain contains a gametophyte that can produce sperm to fertilize an egg within the female part of the flower--the pistil. Unlike spores, the pollen grain's gametophyte does not grow into a multicelled organism. 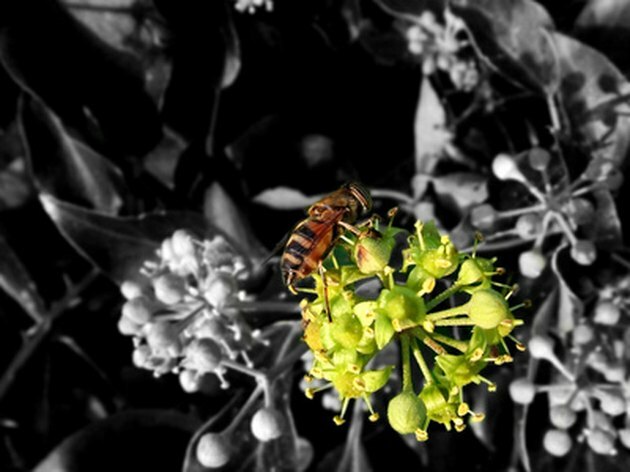 Many flowering plants require insects or other animals for spreading pollen. 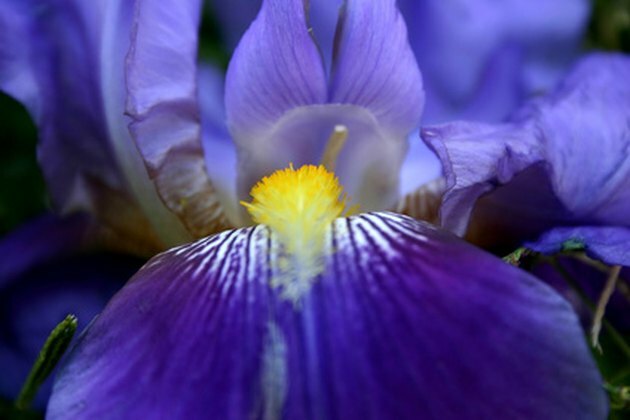 Pollen is activated when it comes in contact with the pistil of a flower. The gametophyte in the pollen grain produces sperm that fertilizes the flower to produce a seed. Unlike a spore, pollen is always "male." Pollen, seeds and spores are evolutionary strategies that allow different species to reproduce. Organisms that use pollen or spores are some of the most ancient lineages on Earth and have been evolving for hundreds of millions of years. The differences between pollen and spores are less apparent when comparing organisms that have evolved similar strategies for reproduction. The defining factor may be that pollen cannot produce a new organism until it matches with a female egg to produce a seed, while spores can develop into gametophytes or adult organisms without finding a partner. 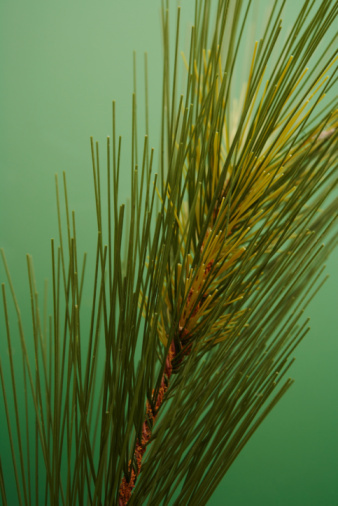 Do Pine Trees Reproduce Asexually?